Would you like to share your story of deployment, bootcamp, or Marine Corps life with a member of the press? We get requests from journalists around the world to speak with Marine Corps family members. We DO NOT share your information with the journalists, however we do post their requests on the message on Marine Family Network (MFN). There are different topics and new requests posted frequently. We verify each request before posting them. Check often, and hopefully you'll connect with a journalist that can help you share your story! 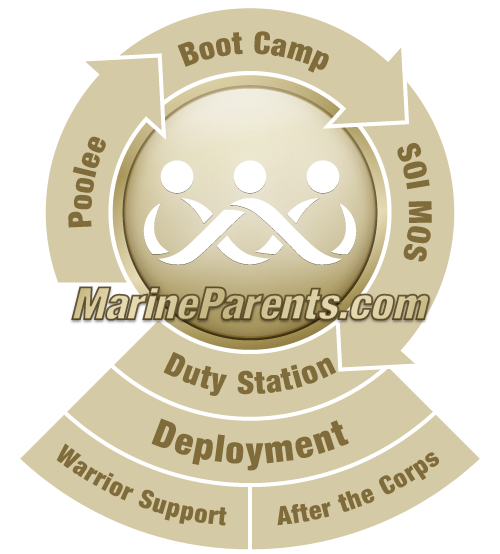 Please help us spread the word about the web site by mentioning www.MarineParents.com to the press member and encourage them to incorporate it in their story. If you are wishing to contact members of the Marine Parents community please complete a media request form. Click here for MEDIA form.